In the beauty world, your face shape can determine many things, from your next haircut to your makeup strategy. Figuring out the correct type is a simple equation of proportions. While the most common shape is oval, others include round, square, triangle, diamond, and heart. Step 1: What’s the widest part of your face? All things equal: If the width of your forehead, cheekbones, and jaw are equal, then you could have a square, round, or oval face. Skip to step two to get more insight. Forehead: When the forehead is widest and the face gently tapers down to the chin, then your face falls into the heart-shape category. This is also known as the inverted-triangle shape. Cheekbones: You have a diamond face shape if your cheekbones are the widest area on your face. Jaw: The jaw is the widest part on most triangular (aka pear) face shapes. Step 2: What’s the shape of your jaw? Round: Round and oval face shapes have a slightly rounded jaw. Square: If you have a strong jaw, then you could have a square face shape. Your chin may still come to a point, but the angle will be more gradual or flat. But keep in mind: Diamond and triangle face shapes can also appear to have a square jaw. 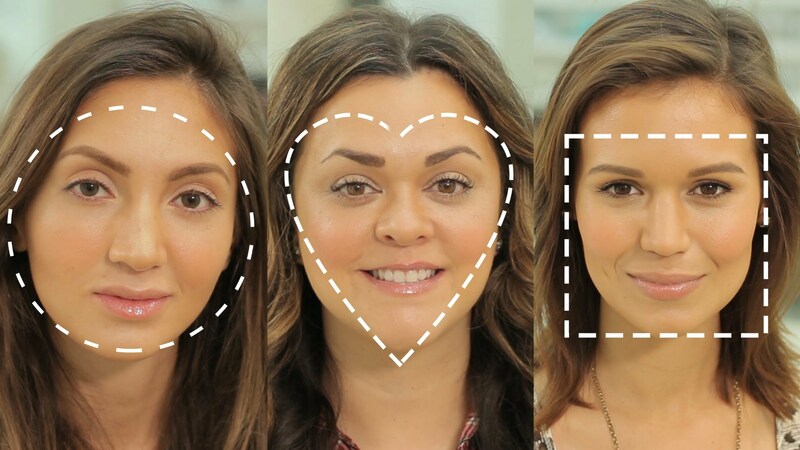 Pointy: When the chin comes to a distinct point, you can file your face shape under the heart category. Step 3: What’s the length of your face? Average: Most face shapes are a little bit longer than they are wide. For example, draw an imaginary line just below the eyes (horizontally from ear to ear) and another line vertically (through the nose from the top of your forehead down to your chin). You should discover a cross shape with a ratio of about one (width) to one and a half (length). This length coincides with most face shapes. Short: If your cross has a one-to-one ratio, then your face has more of a round shape. Long: You have an oblong shape if your face has a longer lower half. Note: All face shapes (except for round, oblong’s polar opposite) may fall into the oblong category, depending on your measurements. An oblong square face shape, for instance, is considered a rectangle. 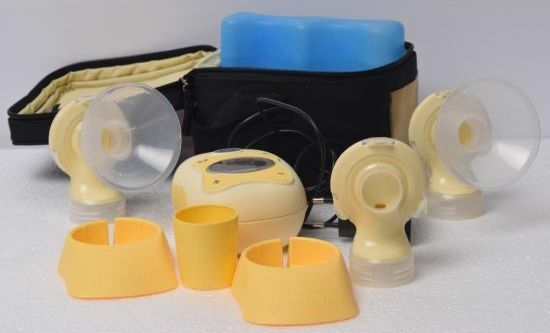 How do you get started on a breast pump! This blog isn’t about the best technical ways to get started – we have ample videos out there talking about it. Instead, it is about the infrequently spoken about psychological preparation required as you start using a breast pump. 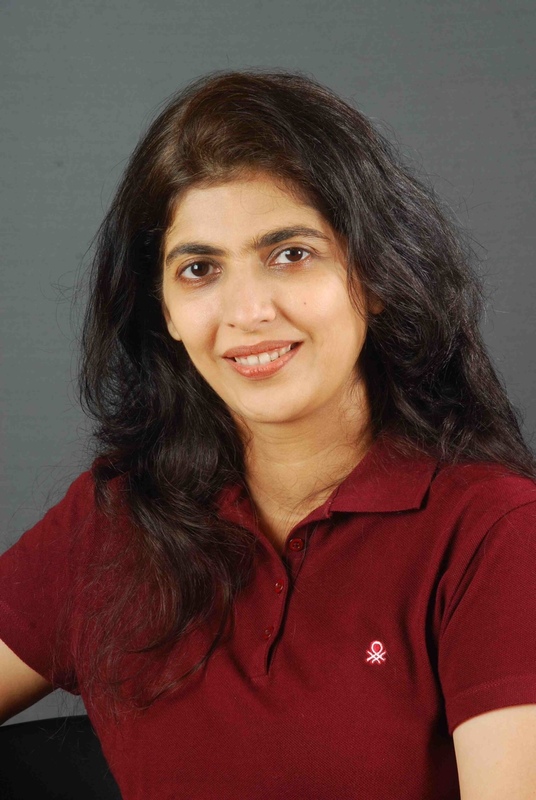 While we have all seen awesome videos about the process of how to do it, lactation expert Sonali Shivlani gives new moms some basic, yet crucial, tips on getting started. The milk supply is dependent on the stimulation and this could be the baby feeding or expressing if you are away from the baby. At times we can express right after a feed as this will signal the body to make a little more at each feed. This can help to increase the milk supply. At times if you over-express then your breast may feel engorged if you are not able to feed or pump. Hence it is important to work out your own schedule and express according to your needs and schedules. All of us have heard on ample networks and from family that the milk you are able to express ‘is all in your head’, meaning it is deeply psychological in nature. Your frame of mind has a huge impact on the letdown of milk – and this holds true for while you are expressing with a pump also. Trigger the thought of your baby in front of you – you may hold a piece of her dress with you so you are able to sense her presence. Alternatively, hold a picture of her in front of you. And most importantly, you have to be in a calm space. Pressures of time or any discomfort will impact the letdown. Just like it may take time for our little ones to latch onto our breast for a feed, so also expressing with a pump takes getting used to. The quantity of letdown will increase over time as we use the pump on a regular basis. Reams and reams of glossy paper space, and gigabytes of data thereafter, have been dedicated to driving home the importance of that black dress in every woman’s wardrobe. And yet, it can’t be enough. So, here are some pointers from our in-house style expert Meera Mittal. You can work out two completely looks with this black dress. The first a sober version with a light-coloured jacket, metal drop earrings, light coloured wedges and a deep-coloured leather bag – set for any meeting; the second being a more glamorous look complemented by a bright scarf, a chunky piece of accessory – such as a bracelet, a deep red or burgundy shade of lipstick, a bright clutch purse, stilettos – and there, you are dressed to kill. Let down your hair. Team your neckline with a chunky neckpiece. A shimmering clutch and a good pair of dancing shoes – you are dressed to steal the thunder at any party. If you are the adventurous sort, you could also try it for a brunch out with friends. With the right accessories, a black dress can magically transform itself into something suitable for any occasion – much like Cinderella’s attire. Only, this does not come with a deadline! There are so many ways to sport the LBD, as a body-con dress (body fitted dress) or a maxi dress (floor length dress), for day in cotton and cotton silks and for evening in anything from net to sequins to lace and self-woven designs, with its contouring and slimming effect, the LBD is a girl’s little best friend. Safe sleeping or using cots and cribs for babies are getting acceptance in India and there are many parents who want to buy a cot or a crib for their new born. Cots are convenient because it allows the new mother to rest, it is safe for the child especially if there are pets at home and it helps in making independent sleeping a routine. Dimensions: Surprised that we are mentioning this as the first thing to consider when buying a cot? Most of our city homes have limited living space. Give a lot of thought before you plan to buy a cot because it will be in that place for a very long time. If you plan to use a cot for a new born, then chances are that you plan to fit the cot next to your bed. Try to ensure that the space available next to your bed is more than the size of the cot that to you intend to buy. Some features like dropside, bedside, underneath storage need extra space to function. Make sure the cot isn’t cramped in the space that you intent to keep it in, and you are able to use all the features of the cot. Base height adjustments: This is a desirable feature to look for while looking for a cot. Some cots do not offer base height adjustment options, some offer 2 levels, some 3 and others 4 to 8 levels. This feature is useful as the baby grows. You use the top most level when the baby is small and cannot sit on its own, as this helps in access to baby. But babies grow fast and before you know you will find them reaching the next development stage and able to sit on their own. A base height adjustment will allow you to lower the base as the child grows and also useful as a playpen for the baby as he grows. Dropside: A dropside is a feature which allows one side of the railing to drop down a couple of inches leading to a better access to the baby. This is very important in the first 6 months, as the baby will want your attention more frequently and mothers need to take care of their back. But usually after the baby is 4 months, we at Precared have noticed that this feature is not used much by the parent. In some cases it would be advisable to fix this feature as older babies tend to fidget with this feature, and it could pose as a safety concern. Also many parents confuse the dropside feature with bedside, and believe that using this feature they can make their babies sleep closer to them along with their beds. This is practically very difficult and you should not confuse the use of this feature. Bedside: For parents keen that their continue to co-sleep with them during night while at the same time have their own space, this is the feature to look for. In this feature one of the bed rails not only goes down, but it is possible to push the bedrail beneath the mattress base. This allows complete access to baby during night. Also the feature is very simple to use and can be done/undone within seconds. You will find very few models with this feature being sold in India and are sold at huge premium. Wheels/Castors: This is a feature much wanted by expecting parents, but seldom used. The space planning is important here, if you feel you have enough space to move around the cot within your bedroom, across rooms, alleys, door spaces, then you should look for this option. Else, this is not used much. Also as most of the baby cots are light in weight, you can lift and move the cot for daily cleaning. We advise you to have locks on wheels. Underneath Storage: This is a feature demanded by most of the parents in India. The reason being space constraints again. Though this is a practical feature to have, you have plan for the fact that for the storage to be accessible, it will need an extra 1 to 2 feet space on the sides (as the storage needs to be pulled out). If you do not plan the position of the cot properly, you will end up never using this. Some parents use a standalone storage, this is storage box with wheels/castor which can be pushed on the floor underneath the cot and can be pulled out with ease. We recommend that a branded cot is always better than a local one, unless someone assures that all the safety aspects and useful features are taken care of. There is a lot of research which goes into simple designs. 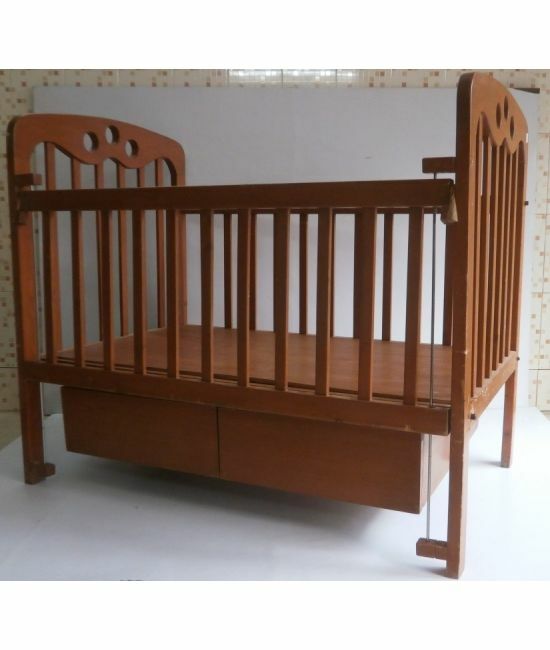 A cot demands premium based on the wood quality, finish, design and spares used. Always check that you are given all the accessories and parts and you assemble them accordingly. Even a small part missing can be undesirable and might affect the safety of the baby.. Many parents use small cribs/cradles for the first 6 months and later use cots for their babies. We will talk about choosing a mattress and other cot accessories in our next blog. If you wish to buy a baby cot, inspected, sanitized from Precared. Please visit us here. Also shop for sanitized cot accessories here. Keep it for the next baby? Not a good idea..
As parents we normally stock up baby products purchased for our first child in the hope that when we plan our second, we already have them for the second. Even if you don’t plan to have a second child, we somehow are emotionally attached to our baby’s first swing or the baby’s first carrier. Or we may even pass it on to a relative or a friend’s first baby! Most parents feel that their baby products are in good shape or condition and this is another reason (apart from the emotional) that they don’t want to part with them. To be fair baby products in India are not used extensively and hence more than 70% of them are in great condition. But space is at premium in most metros and baby gear are packed and put away for a couple of years before you realize that there are products which need your attention. If these products are left unattended for a long period of time, then they start deteriorating. Even a small amount of moisture (we wash before packing for storage) would lead to mildew and stains which will make a cool looking product undesirable. The mechanical parts might lose their utility or change in function if not stored properly (e.g putting excessive weight or load on the product), or if kept out in the open (balconies and garages) exposed to climatic conditions, never mind the packaging! New features, additions to the product, additional safety measures might get added to these products by the manufacturer over time – and the product you have stored for your next of kin might not be the safest gift for their child! Products like Car seats are not recommended by their manufacturers to be used after 6 to 8 yrs of manufacture because of upgrades as per safety guidelines that they bring regularly. Your best bet could be to sell these products to a trusted buyer once the current use is over. You could get between 40 to 55% of the rack price, which if invested well in 5 Yrs can enable you to buy a new product when needed or 2 to 3 products if you opt to buy a good condition second hand baby product from trusted sources. If you still want to hold onto the product due to emotional or personal reasons, we at precared.com advise you to not leave them unattended for a very long time (ideally check on the product every 2 months), store them properly, clean them regularly, package properly, store them indoors, and most important avoid moisture (keep them dry). If you think you want to sell your baby products but are worried of the hassles, do visit us and check the details. Very often we tend to ignore baby gear and keep it in a corner of your house once your baby outgrows it. Most often it is your battery operated baby gear that gets this kind of a treatment. 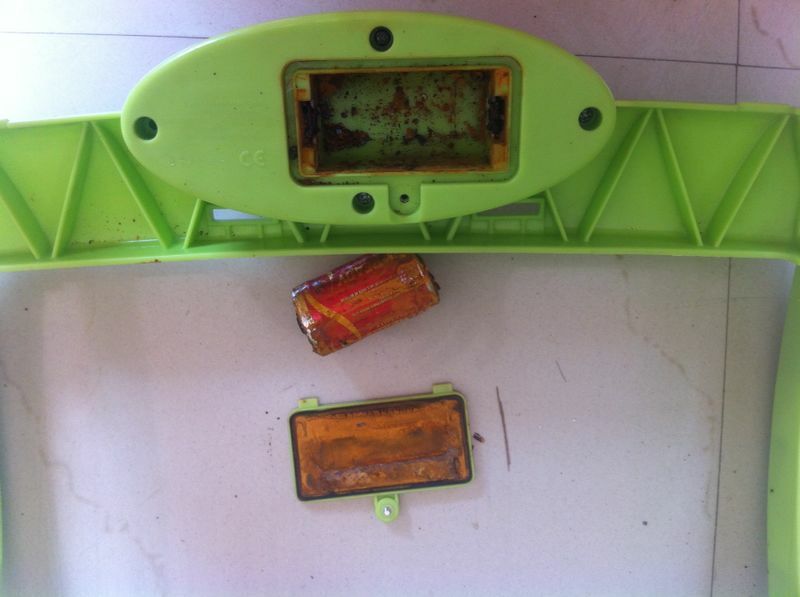 Most important: Remove the batteries from the battery compartment of the gear. The batteries might leak and render the whole gear not fit for reuse. For example: A baby rocker has a battery comp onent that can make the rocker vibrate. If you aren’t using this option even when the rocker is in use, remove the battery and wipe the battery compartment clean. This will allow you to get an almost new rating with companies like us who deal with pre-owned baby gear. Store the baby gear in its original box when possible or cover it with a snug fitting cover. Wash any washable portion of the baby gear. This prevents grit and tearing of the cloth when you store the baby gear. Even small dirt, food particles will lead to stubborn stains reducing the chances of reuse. Ensure that the products are dry, you can use a dryer, before storing the product. Moisture is the biggest reason for the product to rot, get stained and not be in a condition of Reuse. Storing your baby gear in this fashion ensures a good resale and reuse value. A little bit of care and caution can go a long way! If you have stuff for reuse, do get in touch with us at 8286086860.